Naturelly is launching in a top 4 UK supermarket this July. You can fund their growth. Paid back on 4 Nov 18 62 days early!!! Husband and wife team Dean and Joanne Dempsey created Naturelly Jelly Juice in September 2015. It's a healthy jelly treat which is ideal for toddlers and tweens. 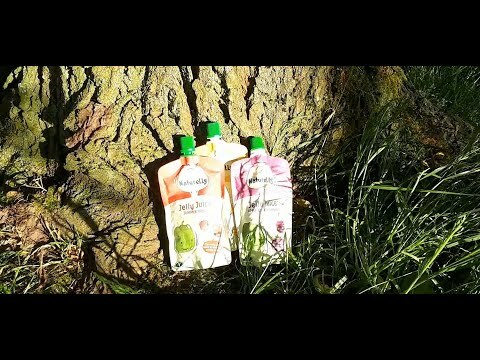 Naturelly is raising £30,000 to produce 60,000 packs of Jelly Juice. In return you can earn 7.1% in 7 months and become a Friend of the brand. Naturelly successfully raised £30,000 to fund the production of 60,000 packs 327 days ago. Check back soon for more offers. Naturelly is a family business run by husband and wife team Joanne and Dean Dempsey. Since launching in September 2015 they have sold over 400,000 packs. Joanne was a retail buyer for 15 years for Selfridges and Liberty. Dean was a Marketing Agency Leader, also for 15 years, covering Pepsi, Red Bull, AG Barr's and Heinz. Naturelly was born out of an extensive search by Joanne and Dean for a suitable healthy snack for their sweet-toothed daughters. After searching everywhere they hit upon delicious jelly juice. This was adapted for the wider market using gellan gum, a natural ingredient made from lily plants. They added natural fruit juice and avoided any sugars, sweeteners, artificial colours or flavours. Naturelly won Platinum in the Loved by Children Award 2017 and Loved by Parents Award 2016. This July Naturelly is launching in a UK supermarket and a national gym chain. Naturelly (Healthier Brands Ltd) is launching in a UK top 4 supermarket this July in over 500 stores. They are also launching in over 75 outlets of a national gym chain on the dessert menu. The company is raising £30,000 to pay for the production of 60,000 packs. The funds will be used to pay for Jelly Juice raw materials such as juice and purees as well as labour and additional packaging with an updated design. The packaging will be delivered in time for the supermarket launch. In addition Naturelly has experienced recent export success in China, Taiwan, Gibraltar and the Middle East. They have a new product in development and are in advanced discussions to secure a listing with another major UK supermarket by September 2018. Naturelly's target to sell 1,000,000 packs in the next 12 months. Joanne and Dean are confident this is achievable because of their success in the UK since 2015. The company is already selling in Boots, Holland & Barrett, Whole Foods, Ocado and Goals Soccer Centers. Naturelly's proposal is to raise £30,000 from PrimeStox investors. Every £0.50 loaned is backed by a pack of Jelly Juice. In return investors can earn 7.1% in 7 months. They will also become Friends of the brand.